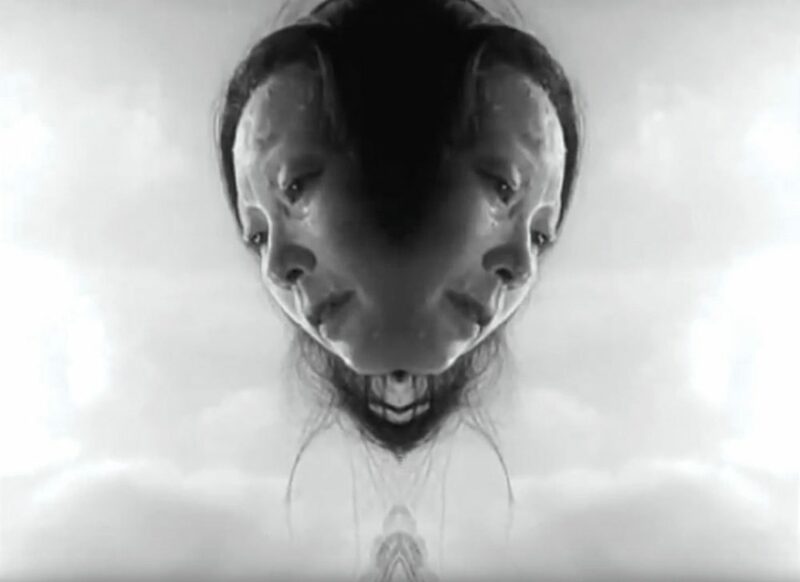 By subjecting fragments from Akira Kurosawa’s film Rashomon to a mirror effect, Provost creates a hallucinatory scene of a woman’s reverse chrysalis into an imploding butterfly. This physical audiovisual experience produces skewed reflections upon love, its lyrical monstrosities, and a wounded act of disappearance. Image: Nicolas Provost, Belgian, born 1969. Papillon d’amour, 2003. 4:00 minutes. Image copyright of the artist, courtesy of Video Data Bank, www.vdb.org, School of the Art Institute of Chicago.